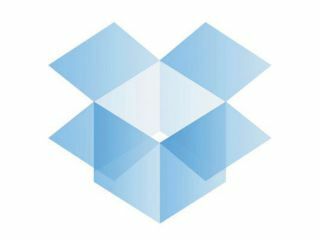 For those not already familiar with Dropbox it's an ingenious file-sharing and synchronising service that works across any operating system, including PCs, Macs and even the iPhone. Available from www.dropbox.com, you can set up a free account that gives you 2GB of storage space, or get a 50GB Pro account for $9.99 a month. Once installed, Dropbox appears as a folder called My Dropbox within your Documents folder. But this is no ordinary folder: whatever you copy into it is automatically uploaded to the Dropbox server. Install Dropbox onto another computer, log on using the same details and the files will automatically be downloaded onto that computer too. Leave it logged in and, no matter which machine you're using, whatever you update on your Dropbox will be saved on all your other devices as well. This means you can leave those easy-to-lose USB sticks at home and still have the most up-to-date versions of the files you're working on to hand, provided you've saved them into your Dropbox folder. There's no need to be worried about security, either: Dropbox uses very secure AES-256 encryption over an SSL-encrypted channel to share and save your data. Just make sure you use a strong password! The only slight worry we can think of is the fact that you're entrusting your documents to a cloud-based app that, despite its burgeoning popularity, could disappear overnight. However, provided you also back up your files at home, this shouldn't be a problem. The beauty of Dropbox lies in its simplicity. It just works quietly in the background. Even if you aren't online when you make changes to a file in your Dropbox folder, when you connect to the internet, Dropbox will detect the file changes and update the document. But don't be fooled by that simplicity – the app may only synchronise files, but people are using it in many different ways. From working on collaborative projects to hosting websites and remote controlling BitTorrents, Dropbox's functionality knows no bounds. We'll explore a few of these possibilities here. As well as sharing files across computers, you can use Dropbox to share files with other people. In fact, because Dropbox is so accessible it can often be a better solution than a network share. It also keeps a revision history, so you can see who added what and when – meaning that tracking the collaborative process is done for you automatically. You can even go back to previous versions of files and restore them if a mistake is made or a file is overwritten (see the 'Undo history' box, below). Your Dropbox account lets you share files in two ways: with everyone in the world (by putting your file(s) into the Public folder in your My Dropbox folder) or with chosen individuals who can also add files to the shared folder. To share a folder with specific people, log on to the Dropbox site, go to the Files tab and click on 'Create a new folder'. Right-click on the new folder and choose 'Share this folder'. Next, send an email to the people you'd like to collaborate with. Those with Dropbox accounts will have the folder appear in their Dropbox if they accept the invitation, and those without are prompted to sign up.